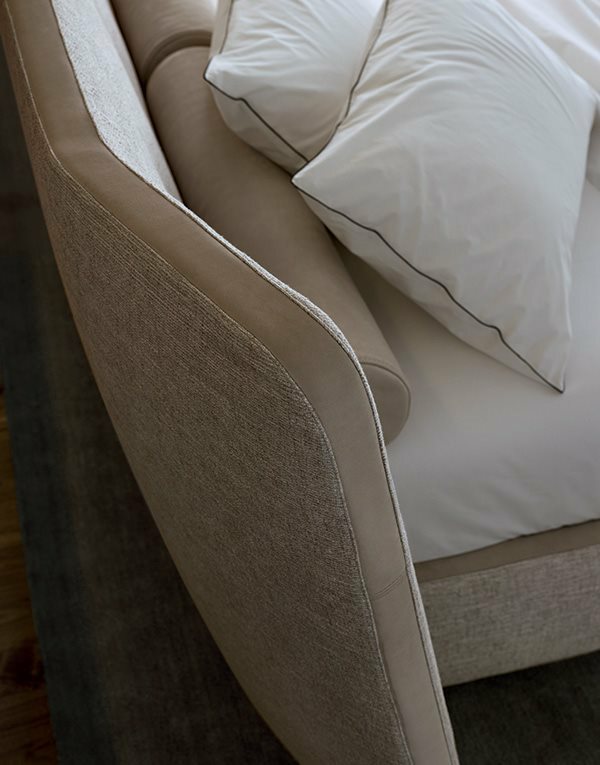 Aptly named, this dreamy upholstered bed has a smartly tailored headboard that folds toward you for an enveloping sleep. 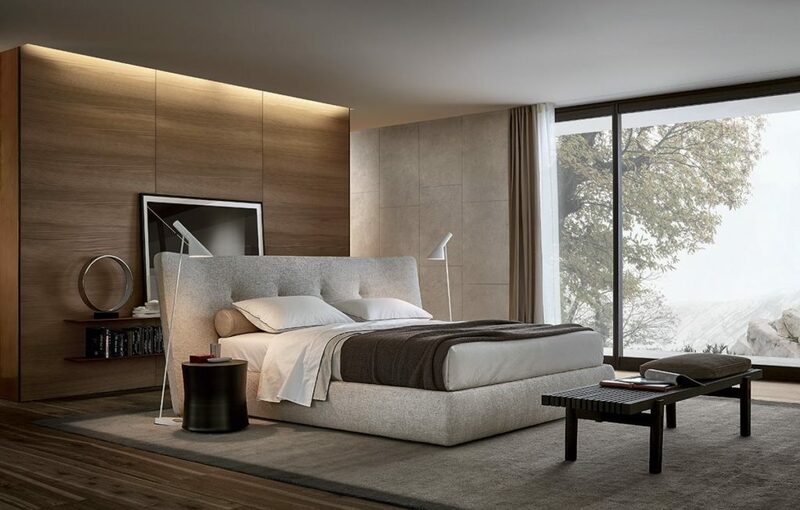 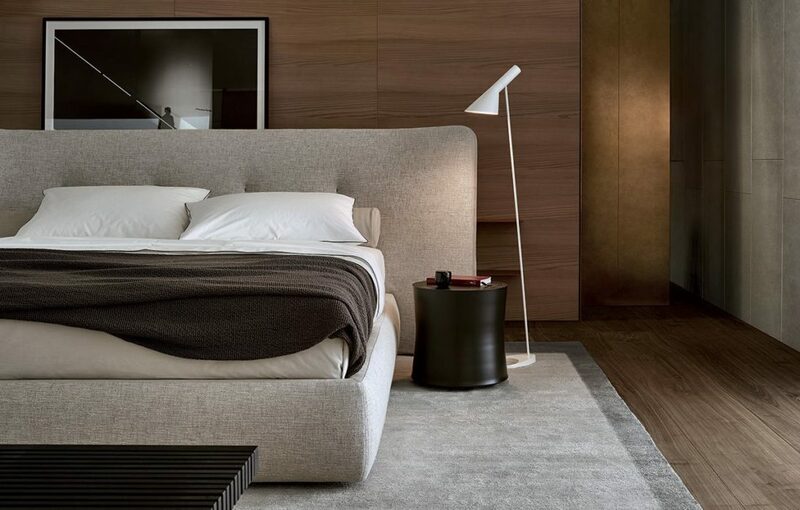 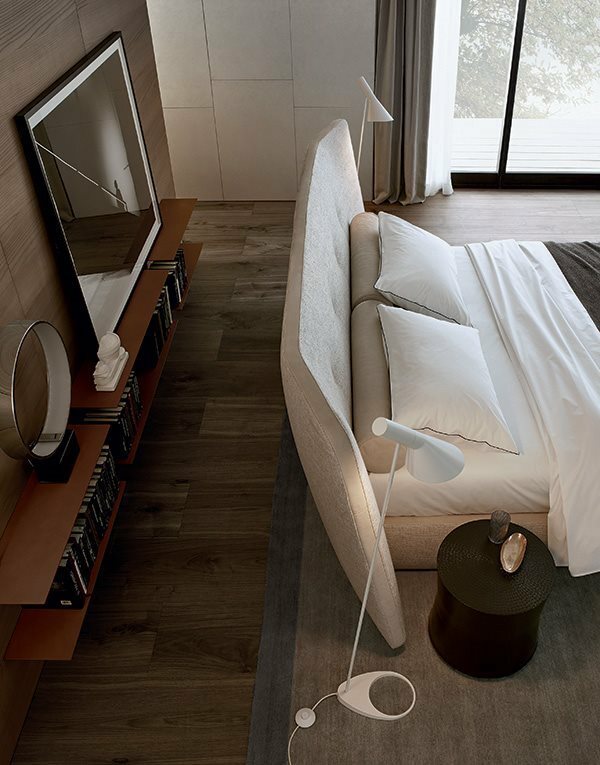 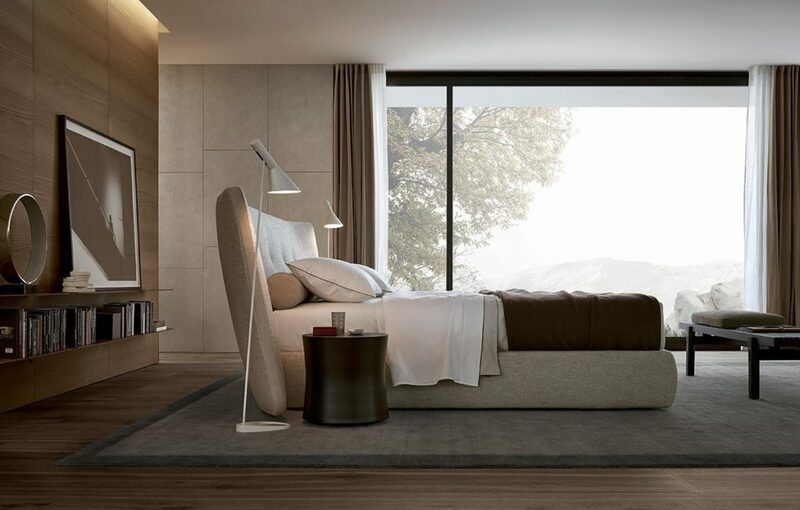 Its crisp lines add instant élan to your bedroom design. 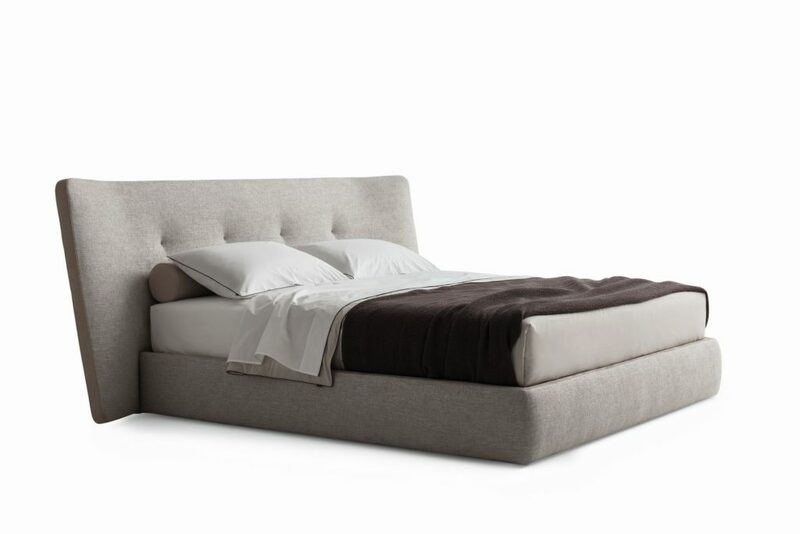 The Rever comes with a fixed bedstead, or one that can be lifted up for under-mattress storage. 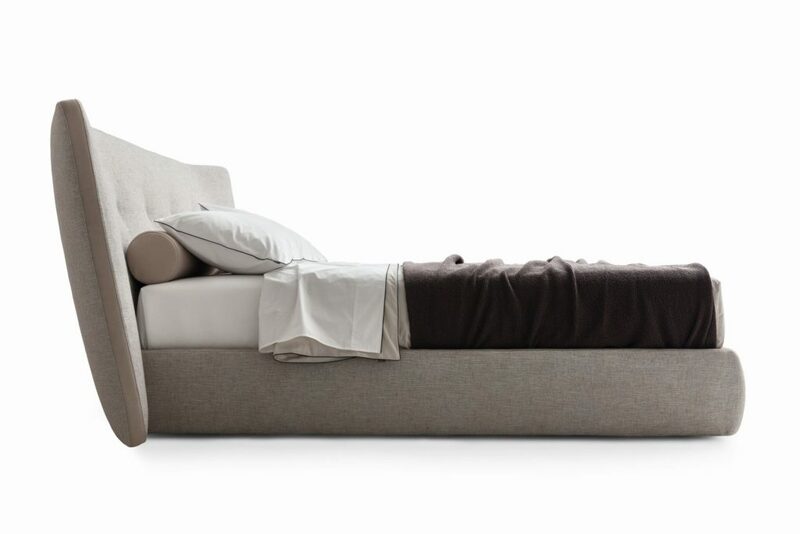 Available in King and European sizes.